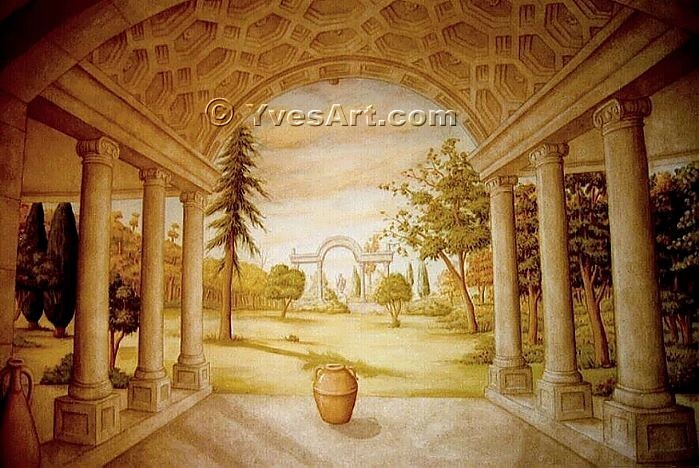 Trompe L'Oeil, Archway Murals by Yves Lanthier. Click here: See some pictures I received from one of my client after installing the mural. Large "Giclée" on canvas available custom size.